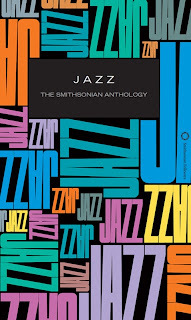 The original Smithsonian Collection of Classic Jazz is a cornerstone of many jazz record collections. Long out of print, it's also hard to find, and if you do find it, you'll pay a premium. 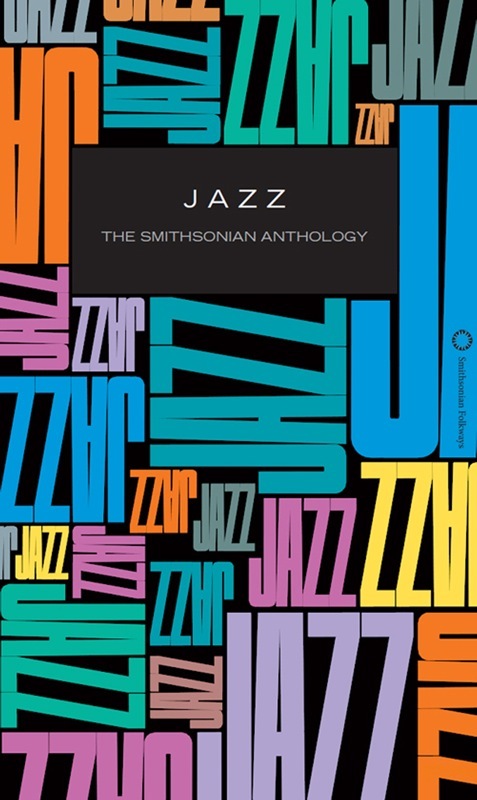 Good news: Jazz: The Smithsonian Anthology (no longer "classic") will be released on March 29. It's 80 percent new, with 111 tracks (vs. the old 95) on 6 CDs (vs. 5) covering the years 1917–2003. John Hasse, a fellow Carleton graduate (and author of the definitive Ellington biography Beyond Category: The Life and Genius of Duke Ellington), was on the selection committee and served as one of the producers. The set comes with a 200-page book. A complete track listing is available here. SRP is $107.98; you can preorder and save $18 (at the moment; the preorder price supposedly goes up soon). Amazon has a preorder price of $96.95 and free shipping. 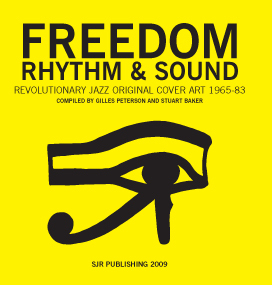 This was the most anticipated jazz release of 2010. I can happily say it was worth the hype. Mehldau starts with his normal trio of Larry Grenadier and Jeff Ballard, then adds Joshua Redman on sax, Matt Chamberlain as an additional drummer, and, last but certainly not least, a chamber orchestra. This is a suite of songs—or compositions, if you prefer—that ostensibly take you on a journey, which can be either literal or figurative, like a journey through your life. It is a long record, a double CD, but surprisingly not difficult to listen to. That's because of Mehldau's writing, which right now is at the top of the game. These types of jazz/classical collaborations usually see one side or the other just looking on from the sidelines. That does not happen here. Everybody seems fully engaged. 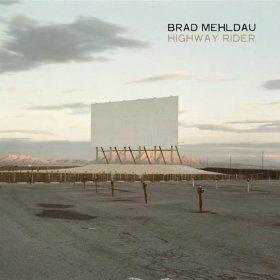 I look forward to Mehldau's future jazz/classical collaborations. But even if he does not do any more, this one’s for the books. This officially came out last year, but I probably listen to it as much this year as I do anything else. Here is a big band for the 21st century, with as much indie rock and electronica influences as there are Duke Ellington and Count Basie influences. Again, really smart songwriting or composing is the real secret here. Add some of the hottest young players in New York and you have one of the stellar releases, not just of this year but any year. Argue also has one of the coolest websites around, called Secret Society, which is also the name of his band. He records all of his concerts and allows you to download them for free. He is also one of the smartest writers about music. The only bad thing about this is waiting for his next project. The successor to a Grammy winner is eagerly awaited, then examined under a high-powered microscope. Will it be as good? Will it be better? Will it be a letdown? Fans of jazz singer Kurt Elling who have waited a year and a half for the follow-up to 2009’s Dedicated to You, his Grammy-winning tribute to/reinterpretation of the John Coltrane/Johnny Hartman classic, will be thrilled by The Gate. Listeners new to Elling (and to pianist/arranger Laurence Hobgood, Elling’s longtime collaborator) will want to catch up on earlier albums. Among male jazz singers today, right now, Elling stands alone. He simply has the most exceptional voice out there. Famously spanning four octaves, resonant and warm, it mostly lives in baritone land but can rise to a dazzling falsetto. He’s a master of dynamics and phrasing, texture and tone, and his swing seems effortless, like breathing. One moment he can woo you with a tender ballad, the next astonish you with rapid-fire, acrobatic scatting. He’s a romantic and a hipster, sincere and playful, authentically charismatic. He writes his own vocalese lyrics, many of which are pure poetry. It seems there’s nothing he can’t do, and if he’s increasingly being mentioned in the same breath as Frank Sinatra and Mel Torme and Louis Armstrong, it’s because he deserves it. Many music fans (and most jazz musicians in town) have probably heard by now that Cafe Maude in south Minneapolis will stop featuring live jazz as of March 1. It was one of the few places in town we could count on for improvised music played by top area musicians and interesting visitors. Maude, we'll still love your flatbread and grilled brussels sprouts and creative cocktails, but your music will be sorely missed. 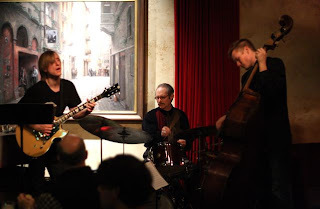 Although it's not over yet: on Friday, you can hear the Joel Shapira Quartet starting at 9. 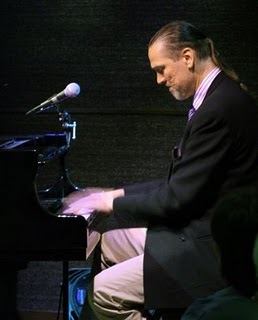 An affable, entertaining genius, pianist Jon Weber once claimed to know 20,168 songs. Today that number is probably on the low side. In a rare winter appearance in the Twin Cities (he’s a regular at our Jazz Festival each summer), he’ll pull who knows what from his bag of tricks—stride, straight-ahead, original compositions, tunes jam-packed with musical quotes—and he’ll tell you the birth dates of the composers. 9 p.m. Friday, Artists’ Quarter ($10). The first in a series of three “Hollywood Cabaret” concerts in the intimate Black Box Theater celebrates the era of the great Hollywood musicals. Magnus Öström will release the first album as a leader of his career on February 25, 2011. The album is titled “Thread of Life” (ACT) and you can listen to short samples of some songs on the website. We will inform you again in late February when the album hits the stores. It was a big hit for Magnus and it therefore does not surprise that the music on the album develops a depth and intensity that mirrors the existential feelings and borderline experiences he made in the course (or curse) of the past two years. His signature sound, that already graced e.s.t. albums, is unmistakably present and listeners can discover his talent to compose catchy hook-lines and create a “soundscape” of amazing depth and beauty. Just some of the music we heard at Cafe Maude over the years. It was a good run. The music at Maude ends March 1. Cafe Maude opened in southwest Minneapolis on Thursday, June 7, 2007, and has featured live music nearly every weekend ever since. Not just live music, but really good live music by top area musicians and visitors from out of town. And not just really good music, but usually improvised music, a.k.a. avant-garde music, free jazz, or whatever you choose to call it. 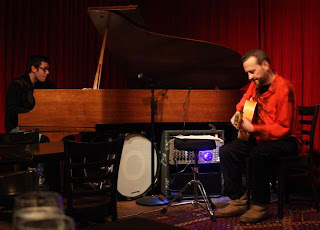 An incomplete list of musicians who have performed at Maude, in no particular order: Chris Thomson, Chris Morrissey, Bryan Nichols, Tim Glenn, Anthony Cox, Jay Epstein, Dean Granros, Patrick Harison, Dean Magraw, Dosh, Paul Metzger, Michael Lewis, Adam Linz, JT Bates, Chris Bates, Dave King, James Buckley, Milo Fine, Davu Seru, Alden Ikeda, Earworm, Eric Gravatt, Park Evans, Luke Polipnick, Rahjta Ren, Jeremy Boettcher, Sean Carey, Zacc Harris, Brandon Wozniak, Josh Granowski, Todd Clouser, Peter Schimke, Graydon Peterson, Babatunde Lea, Nathan Hanson, Brian Roessler, Pete Hennig. As of March 1, there will be no more music at Maude. Bookings already scheduled for that month have been cancelled. I spoke with owner Kevin Sheehy yesterday to find out why, although I already knew the reason: the challenge of running a restaurant in a cruel economy. Over the past few years, he had done everything possible to keep the doors open and finally concluded that the music had to go. If he stops paying musicians, moves the piano out, and replaces the stage with a banquette and more tables, maybe Maude will survive. The temperatures are plummeting (25 below this morning? Seriously? ), but the jazz calendar is heating up. The Loring Theater (formerly the Music Box Theater) is booking jazz performances worth going out for: last week’s Dave King Trucking Company, and the forthcoming (Feb. 4) solo appearance by avant-garde pianist Matthew Shipp. The “Musique Mystique Dans La Chambre Rouge” (Mystical Music in the Red Room) series at the Loring Pasta Bar (no relation) is well underway, with Tim Sparks scheduled to appear with Connie Evingson on Jan. 31. Roberta Gambarini closes out this month at the Dakota and starts the next. 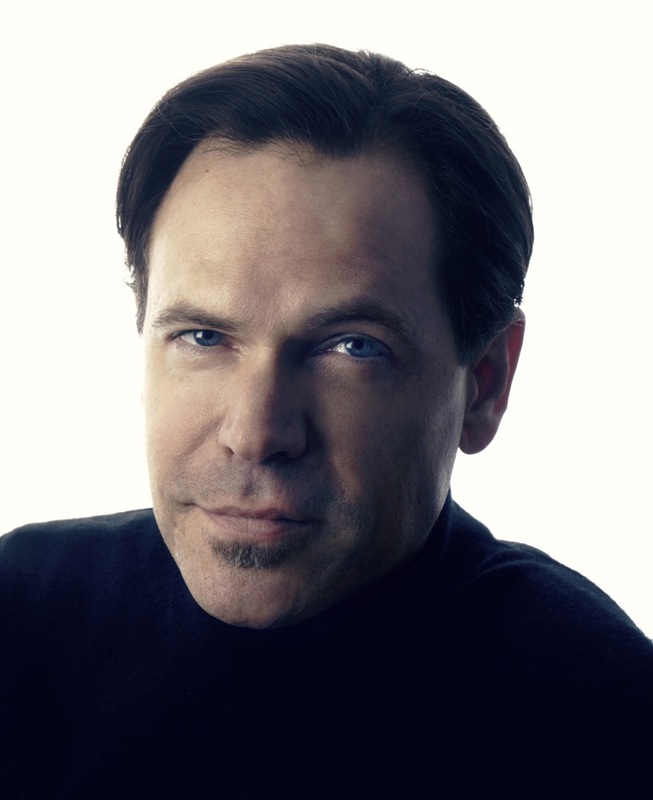 Grammy winner Kurt Elling comes to town for two nights (Feb. 9-10) right after the release of his new CD, The Gate, on Concord. Later that month (Feb. 27), you can hear Branford Marsalis and Terence Blanchard at Orchestra Hall. In between, on Feb. 12, the Israeli guitarist Roni Ben-Hur performs at the St. Paul JCC. See the calendar at right for details. Meanwhile, dress warm, check your wiper fluid, and get out there. If the artists can brave the weather (often carrying their own gear), so can we. As I write this, I’ve just returned from Thursday night’s performance, and as many times as I’ve seen Nellie McKay perform, I’m still astonished. She combines stereotypical ditsy blonde shtick with a savage intelligence, wicked wit, and genuine sweetness (her version of "Midnight Sun" is enchanting). She sings Jobim and Doris Day, reggae and original tunes, jazz standards and tongue-in-cheek screeds (“Feminists don’t have a sense of humor…They have a tumor on their funnybone”). Her voice is unremarkable, her piano playing passable, but she defines originality. Club owner Lowell Pickett introduced her as “fresh out of rehab.” Surely that was her idea. 7 p.m. Friday, Dakota ($32). Tickets online or call 612-332-5299 (JAZZ). 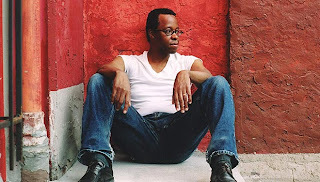 Has the avant-garde pianist Matthew Shipp ever played in Minneapolis? Not in my memory. Only once before, in 1998 (thanks, Scott). When he makes his debut here returns on February 4, will he be at the Dakota or the Walker, the Cedar or the Artists' Quarter? No, at the house that hosted the comedy Triple Espresso...for twelve years. Known then as the Music Box Theater, under new management since last June, now restored to its original name, the 90-year-old Loring Theater is bringing an eclectic mix of entertainment--cinema, theater, burlesque, variety acts, and music including jazz--to the Loring Park neighborhood. Last Saturday, Jan. 15, the Dave King Trucking Company played there. And here comes Matthew Shipp. Dare we hope that that these two engagements--the inventive, Coltrane-meets-Nashville Trucking Company (who flew in Chris Speed) and the provocative, take-no-prisoners Shipp--signal a conscious effort, perhaps even a commitment, to program the edgy and exciting as opposed to the standard and safe? What happens during improvisation? Over the past several months, I’ve been asking jazz musicians that question in a series of interviews for mnartists.org called “Conversations on Improvisation.” The answers are never the same. In my head, I get that improvisation is a combination of musical knowledge and technical virtuosity, choice-making and risk-taking, listening and responding, playing and waiting, starting and stopping, and spontaneous composition, all in real time that speeds up for some and slows down for others. In my heart, I think it’s magic. 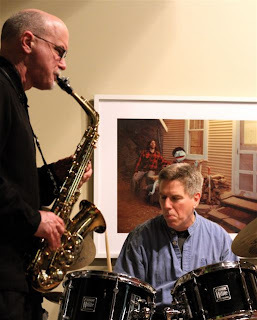 Last night at the Black Dog in St. Paul during a snowstorm, saxophonist Pat Moriarty and drummer Phil Hey made magic, although they hadn't played together as a duo in many years. Although it’s late November, it might as well be spring. 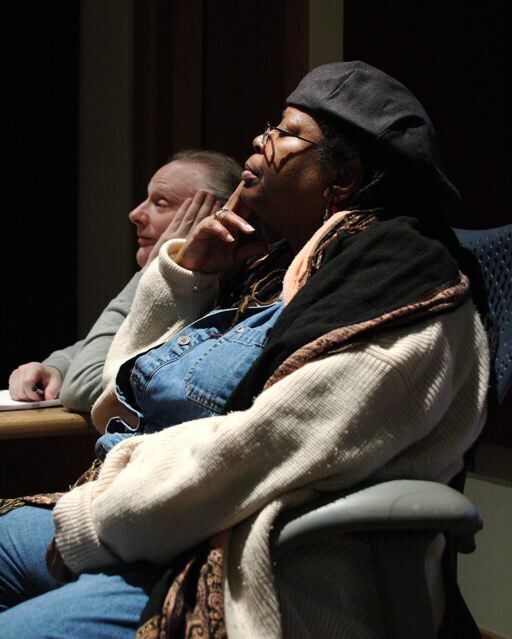 As we arrive at Wild Sound recording studio in northeast Minneapolis, Debbie Duncan is singing the Oscar-winning Rodgers and Hammerstein classic “It Might As Well Be Spring” with so much warmth that she could melt the snow on the ground. We’re here at another recording session for Arne Fogel’s new series for public radio station KBEM, where he hosts The Bing Shift each Saturday at 7 pm. Fogel has a long history with radio. For 12 years, he produced and hosted a series of Arne Fogel Presents programs for MPR, followed by programs for KLBB and (with co-host Connie Evingson) Singers and Standards for KBEM from 2002–2005. Fogel’s latest, Minnesota Voices: Certain Standards will air later this year for 13 weeks, 5 days/week. Five singers—Nancy Harms, Maud Hixson, Debbie Duncan, Connie Evingson, and Fogel—are each recording 13 songs from the Great American Songbook. The show will include 65 classic songs and the stories behind them. Debbie’s voice breaks on an interval near the end of “Spring,” so she sings the phrase over twice, then takes a completely different approach. If something doesn’t work for her, she has a hundred more choices in her pocket. She also knows what she wants from pianist Tanner Taylor. When she hears a chord she doesn’t like, she asks for a do-over, Arne concurs, and Wild Sound's Matthew Zimmerman punches it in. During my weekly Friday-morning talk with Ed Jones, host of the Morning Show on KBEM radio, he mentioned a film called Bell, Book and Candle, which features an underground jazz club with bongos. Ed is an expert on jazz on film--more accurately, jazz in films, meaning Hollywood films, as opposed to documentary films about jazz (though he's probably an expert on those as well). In addition to hosting the Morning Show, he has his own special hour-long show each Monday at 8 p.m. called REEL Jazz, which is all about jazz in films and on Broadway. Last October, he taught a REEL Jazz class as part of the radio station's Community Education series, during which he played and spoke about selections from Stormy Weather, High Society, a French film called Ascenseur pour l'echafaud (Lift to the Scaffold), with music by Miles Davis, Roger Vadim's Les Liaisons Dangereuses, Woody Allen's Sweet and Lowdown, Bertrand Tavernier's 'Round Midnight (starring jazz great Dexter Gordon), Alfie (scored by Sonny Rollins), Anatomy of a Murder (Duke Ellington), and more. It was a most enjoyable 90 minutes, a live version of his show, and we took away a long list of films to explore at our leisure, courtesy of the Jazz on Film website. Find it here. 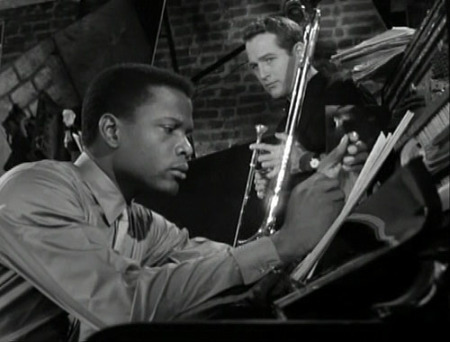 One of my favorite jazz films: Paris Blues starring Paul Newman and Sidney Poitier, score by Duke Ellington. Photo: A still from Paris Blues. Last week, we mourned the end of the Clown Lounge as the weekly home of Fat Kid Wednesdays. This week, let’s celebrate the opening of Jazz Central. In fact, Jazz Central opened quietly last summer as an underground venue, a place where jazz artists could perform, rehearse, and teach. Now there’s a performance scheduled for most Mondays, followed by an open jam session, and the public is welcome. There’s no cover charge, but donations are accepted. Pianist Tanner Taylor and drummers Mac and Luis Santiago, who jointly run the place, want to keep it “for the cats, by the cats,” and any amount helps. Here's the performance schedule. This coming Monday, Jazz Central hosts trombonist Jeff Rinear, whose resume includes work with the Butanes, the JazzMN Big Band, Pete Whitman’s X-Tet, and the Artie Shaw Orchestra. He’ll play with Jazz Central’s house trio: Taylor on piano, Mac Santiago on drums, Keith Boyles on bass. 8 p.m. Monday, January 17, Jazz Central, 407 Central Ave. SE (across the street from the Aveda Institute). No cover. What else is happening this weekend and into the week? As always, plenty. Saxophonist Moriarty and drummer Hey met in 1973 and formed a band. In 1977, they released their first and only recording, Let Them All Come. They haven’t played together as a duo for many years (though fans will remember their performance at Studio Z with Ellen Lease and Adam Linz last May). 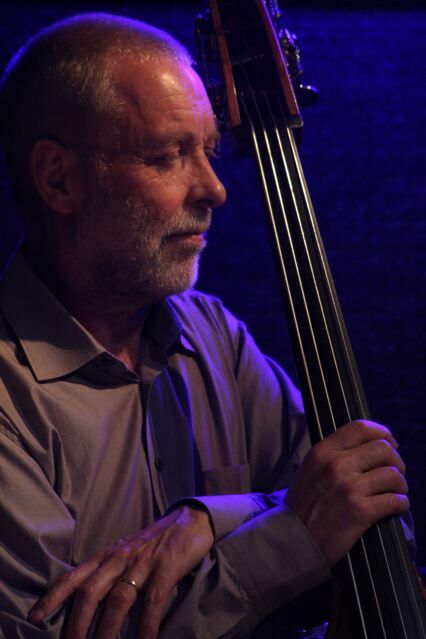 Expect a night of free improvisation with all of the delicious possibilities that presents. 8 p.m. Friday, Black Dog, corner of 4th and Broadway, Lowertown, St. Paul. No cover but donations are accepted (and the right thing to do). NEA chair Rocco Landesman announced yesterday that 15 not-for-profit organizations will receive grants totaling $250,000 to bring outstanding jazz musicians, writers, producers, and scholars to communities across the nation in 2011 through NEA Jazz Masters Live. In cooperation with Arts Midwest, NEA Jazz Masters Live grants support performance and educational activities featuring NEA Jazz Masters, recipients of the nation's highest honor in jazz. This year's participating masters will include Dave Brubeck, Paquito D'Rivera, Jimmy Heath, and Randy Weston, historians and educators Dan Morgenstern and Gunther Schuller, and festival producer George Avakian. It was an honor for me to serve on the committee that awarded the 2011 grants, and exciting to see so many people working hard to keep jazz on the ground and in the air from coast to coast. Go here at 6:30 pm CST (7:30 pm EST) to watch this year's NEA Jazz Masters Awards Ceremony and Concert, streaming live from Rose Theater at Frederick P. Rose Hall, home of Jazz at Lincoln Center. This year's ceremony celebrates the lifetime achievements of Orrin Keepnews, Hubert Laws, David Liebman, Johnny Mandel, and the Marsalis Family. The Jazz at Lincoln Center Orchestra and Wynton Marsalis will perform. Several of the honorees will join them, including Liebman, Laws, and the Marsalis Family. The evening will also feature video tributes to each 2011 Master. The event will take place at Jazz at Lincoln Center and feature the Jazz at Lincoln Center Orchestra in a program dedicated to the honorees' works. Several of the honorees will perform with the orchestra during the event. The evening also will feature video tributes to each of the honorees. Can't watch? Listen live on Sirius XM Satellite Radio's Real Jazz Channel 70, WBGO jazz radio (NYC) on 88.3 FM or online, and at NPR Music online. In NYC? The concert is sold out but standby tickets are available today at the JALCO box office, Broadway at 60th street, ground floor. The line begins at 6:30 p.m. If you don't get a ticket, you can watch a simulcast at Rose Hall. The NEA and Jazz at Lincoln Center will present a free panel discussion with the 2011 NEA Jazz Masters tonight, January 10, starting at 7 pm EST (6 pm CST). The 2011 Masters are Hubert Laws, David Liebman, Johnny Mandel, Ellis Marsalis Jr. (representing the Marsalis Family), and Orrin Keepnews. The discussion will be led by moderator A.B. Spellman and will focus on the artists' careers. If you're in NYC, you can see it live at the Agnes Varis and Karl Leichtman Studio in the Irene Diamond Education Center at Frederick P. Rose Hall, Jazz at Lincoln Center, Broadway at 60th St. The event is free to the public, first come, first served. Doors at 6:30. If you're not, you can watch and listen live through the NEA's UStream page. I follow Holland on FaceBook, and earlier today "Team DH" posted a link to a short documentary about him that I hadn't seen. So I just spent 20 minutes learning more about his life and his music. The film made me like and admire him even more. All hail the compulsive and accurate list maker, whoever he or she may be. 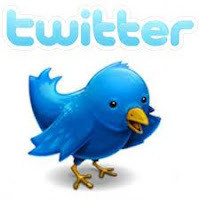 In this case, kudos go to Donna M of the Elements of Jazz website, who has compiled a lengthy list of jazz artists, places, festivals, radio stations, bloggers, writers, and more who tweet, regularly or otherwise. Ahmad Jamal tweets? Seriously? Okay, he probably doesn't send out his own tweets, but someone else does a very credible job of keeping his twitter followers up to date. Area artists/venues/sites tweeting include Adam Meckler, the Artists' Quarter, the Dakota, the JazzMN Orchestra, Jazz Police, KBEM, Mary Louise Knutson, the TC Jazz Festival, and yours truly. Find Donna's list here. If you're not on it and you should be, contact Donna here. Larry Englund? KFAI's jazz shows? Where are you? Tweeting may seem silly and it can be, but it's also part of the communication puzzle these days. The Turf Club on University Ave. in St. Paul closed its doors suddenly and without notice on Saturday, canceling a show scheduled for that night and hanging a handwritten "Closed for Repair" sign in the door. Former manager Dave Weigardt was let go and bartender Josh James was hired to take his place. I don't actually care that much about the Turf Club, though I'm sorry to learn of almost any music venue closing. But I do care about a small, quirky, beat-up but enchanting little place in the basement of the Turf Club called the Clown Lounge. Years before I headed down the stairs, I heard of the Clown, the regular Monday-night home of the jazz trio Fat Kid Wednesdays, often featuring guests from out of town. My first time there was in April 2008 to hear percussionist Tatsuya Nakatani. I've since returned several times, but not as often as I wanted, because I do supposedly have a day-ish job and leaving home at 10:30 on a Monday night for music that starts at 11 or later just isn't an option very often. Am I sorry that I missed John Betsch last Monday? Yes, I am, and sorry that I missed many other shows that were spoken of after in glowing terms.